BlendBee is a Lake Tahoe-based tea business that has amazing tea blends to choose from and even lets customers create their own! Battle Born, their spicy green tea, made an appearance in the Tea Box Express October box. Jamah, BlendBee's founder, shares more about her company and her blends. Tell us a little about BlendBee and how it got started. I have studied and immersed myself the health & wellness industry for the last 20 years. Natural remedies have always fascinated me. I love concocting blends of herbs and teas to help myself and my friends/family reach certain health goals. I decided that everyone should have the option to create their own perfect tea blend, and BlendBee was born. My customers LOVE that they are able to create their own perfect blends for themselves. 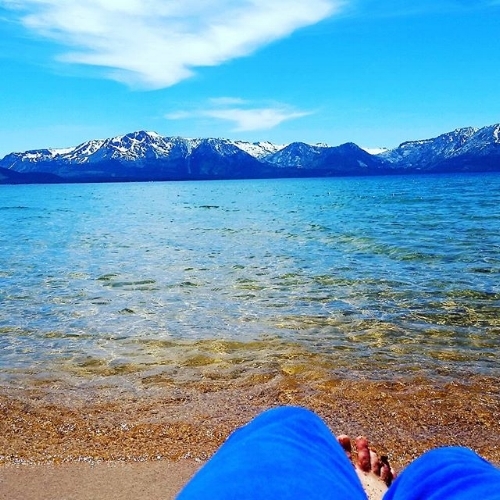 BlendBee has grown from just an idea of mine to a full functioning company in Lake Tahoe, it is very exciting. I found a wonderful space that we created into a commercial kitchen right by the lake, surrounded by forest, we call it the "Tea Hive". Every season in Tahoe is gorgeous and inspiring, and I'm lucky enough to be able to hike to the Hive (or snowshoe in the winter), you will often find my inspiration in the names of our blends "Tahoe The Mornin' To Ya"! I'm very excited for the future of BlendBee, we are just getting started! 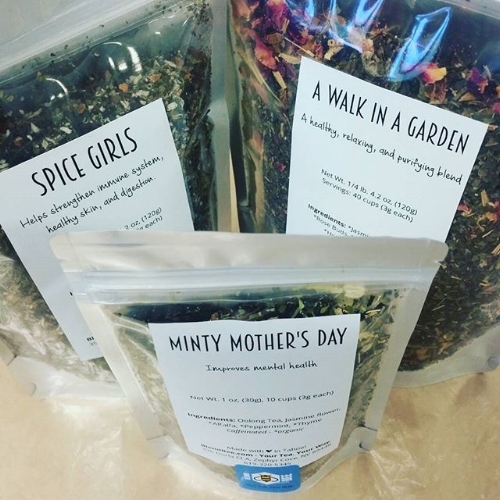 You have tons of delicious sounding tea blends and even let customers create their own. Can you explain more about the creative process that goes into making your blends? My customers are the best, and daily we are creating their custom blends, which also give us a ton of inspiration. Our "Make Your Own" feature is often used to create personalized gifts, as well as promotional blends for brands and companies. Often within that process we create a blend so great, it has to go up on the site for everyone. More often than not, I create a blend based on my own personal cravings. 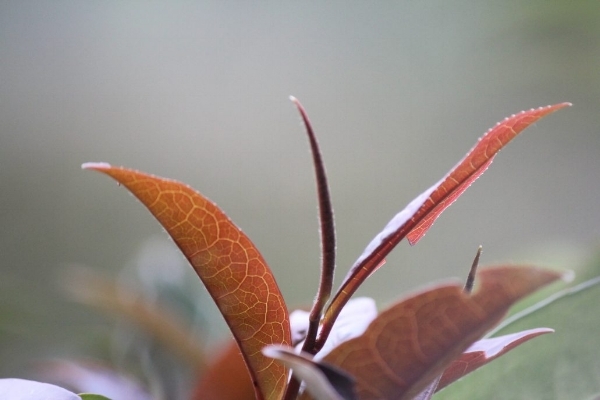 Take my blend Thin Mintea as an example. I had a craving for Thin Mint Girl Scout cookies, but I didn't want to indulge (I follow a strict plant based diet). So I created a healthful blend that tastes just like the cookie but is beneficial for people with diabetes, or people that are wanting a sweet treat without the guilt. 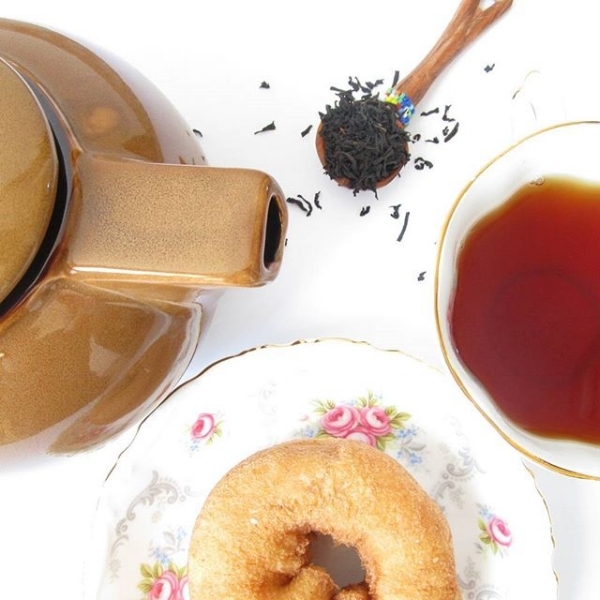 Creating a delicious tea blend is like creating a great recipe, it takes knowledge and expertise of each ingredient. Most importantly the quality of every thing we use, we are very picky where we get our ingredients, and it makes all the difference within our blends. We don't cut corners, you get the best of the best. All over the world. We work with a few suppliers here in the states that have contracts with some small farms as well as organic and fair trade farms worldwide. We are very picky about each and every ingredient we use within our blends. Some of our ingredients aren't certified organic, yet they are not grown with any harmful chemicals or pesticides. Some of these smaller farms in other countries can't afford our organic certification, it is a very expensive and daunting process. 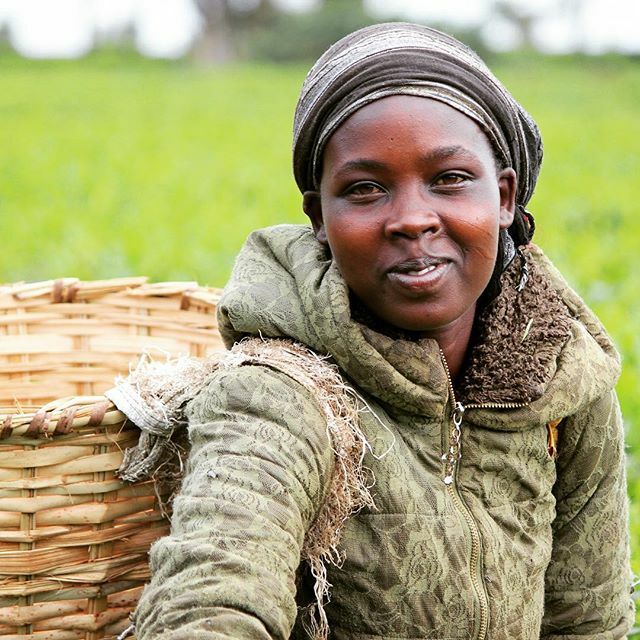 They take pride in their land and their farming practices, and it is reflected in their crops. I love supporting the "little guys" when I can. Which BlendBee tea is your favorite? Right now, I honestly can't get enough of Burn Baby Burn, my spiced turmeric infused white and green tea blend. It is the newest BlendBee blend that I created in conjunction with Chill Baby Chill (reduce stress & detox herbal blend). It is kind of our take on a weight loss/detox combination, without the "hype". I absolutely love the spiciness of Burn Baby Burn, and the anti-inflammatory properties are out of this world. It tastes like a rich, spiced chai, but with white and green tea. I have been on a mission to look my best in a bikini for my 40th Birthday and I am thrilled with my results using this combination. My other favorites lately have been Mountain Matcha, Sierra Sunrise & Tahoe The Mornin' To Ya! Thank you Jamah! 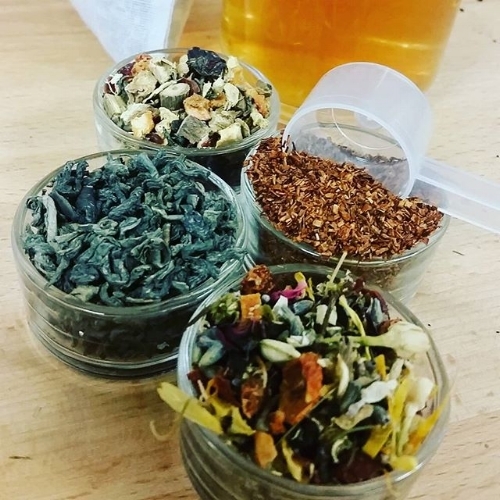 Try other BlendBee teas (even create your own blend!!!) and receive 15% off with the code TEABOXEXPRESS at blendbee.com. 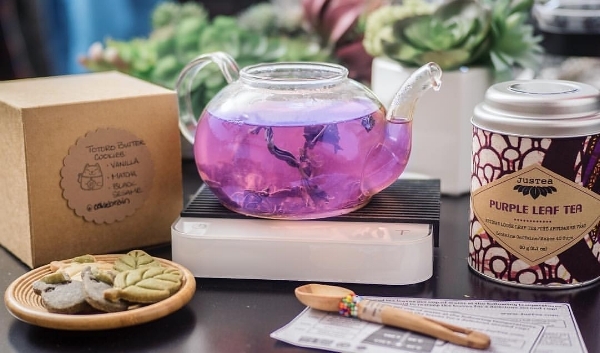 Have you received your own personal tea party in a box with artisan tea and treats? Sign up for a subscription or give a one-time gift today!